His comment made me laugh because it reminded me of the reality that we faced with our twin pregnancy, particularly in the latter stages, and how a twin pregnancy is significantly different than a singleton pregnancy in many ways. The first thing to keep in mind is that Mom is going to be extremely large and uncomfortable when expecting twins. Now, this may seem obvious, because there’s going to be two babies inside her, but nothing could have prepared us for the reality of what actually was two twin babies inside poor Mama’s belly. We had two boys previously. We had been through two pregnancies before and seen how that affected mom’s body. I didn’t expect that my poor wife would be so large, and unfortunately so miserable, carrying those twins in the later stages of the pregnancy. Extreme fatigue and weariness are a daily reality with a twin pregnancy. If you look at expecting twins vs singleton pregnancies, by the time Mom reaches 32 weeks of the twin pregnancy, her belly will be larger than a 40-week singleton pregnancy. With a twin pregnancy, your wife is going to gain at least 50% more weight (35-45 pounds total) than a singleton pregnancy. Of course, consult with your physician on just how much weight she should be gaining. What is a healthy weight for her? Your doctor can help you figure that out. The reality is that once you get into that third trimester, things are going to get extremely uncomfortable. That’s why I always advise that you get your preparations in place well before the third trimester so that you can focus on taking care of Mom and the unborn babies. A twin pregnancy often leads to bed rest because of the aforementioned problems of Mom getting so large that it starts to put a lot of strain on her body and the twins. Oftentimes, that leads to conditions where Mom needs to rest. This may be doctor-ordered, full-time or partial bed rest. My wife, for example, was told by the doctor that she needed to rest for several hours a day. Then she could still go about her business the rest of the day. Your situation may vary based on the health of the babies and the health of Mom. Bed rest is definitely a possibility with twin pregnancy, particularly as you get to the later stages. One of the things you may not be expecting with a twin pregnancy is the increased amount of doctor visits and ultrasounds during the twin pregnancy. This is both a blessing and a curse. Frequent doctor visits are a blessing because you get to see your twins a lot more than other parents with a twin vs singleton pregnancy. You’re going to have a lot of ultrasounds and checkups with the doctor to make sure that everything’s going smoothly because a twin pregnancy is a higher risk pregnancy. The downside of that is you have a lot more doctor visits and a lot more logistics that you need to work out. If you want to attend doctor visits with your wife, which I recommend, you’re going to need to arrange to get time off from work. You may need to arrange for childcare for your other children so you can both attend those visits. Ultrasounds are great, and they also can kind of drive you crazy. Every time we found when it was time for an ultrasound and we’d go in, we always had in the back of our head, maybe this time, they’re going to discover something is not right. During these doctor visits, your doctor may uncover some of the potential health complications that your wife or twin babies may be having. Twin pregnancy is going to be at a higher risk for things like preterm labor, preeclampsia, or even pregnancy-induced hypertension. Please talk with your doctor during the twin pregnancy, and make sure you’re taking the steps that you need to keep Mom and the babies healthy. 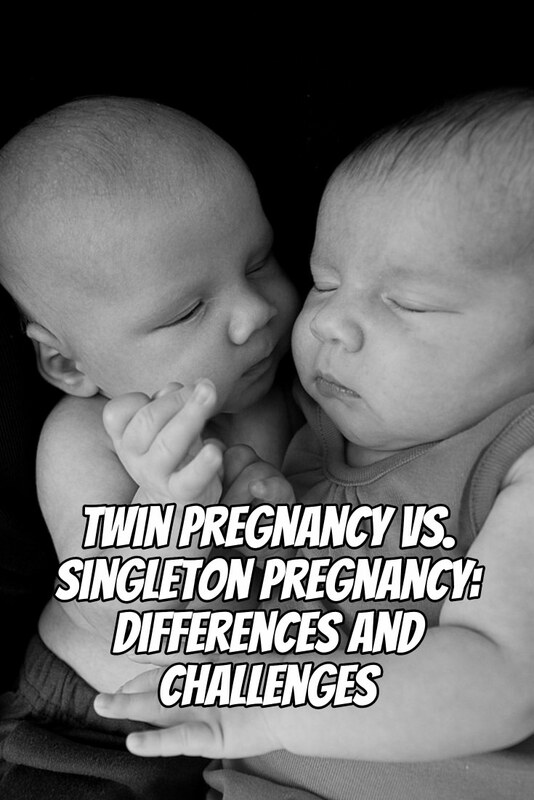 Another difference between a twin pregnancy and a singleton pregnancy is that the twin babies tend to arrive very early. 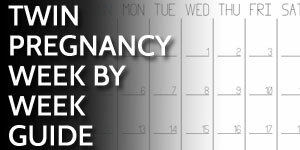 The full term for a singleton pregnancy is 40 weeks. If you carry twins to 40 weeks, bless you. It is not an easy task. Most twins never make it that far. Most twins arrive around 36 weeks. That’s oftentimes considered full term for a twin pregnancy. Our twin girls, for example, arrived in the 36th week of pregnancy. Every twin pregnancy is different. Twins will come earlier, or twins will come later. One thing that you need to plan for is that you don’t have the full 40 weeks to prepare for your twins’ arrival. If you go past 35 or 36 weeks, Mom is going to be extremely uncomfortable and is going to need to be resting almost exclusively. A twin pregnancy is a heavier burden on mom. That means a lot of the things that mom does have to be done by someone else. Often, it falls to you, Dad, or to other members of the family. If you’ve got other kids in the house during the twin pregnancy, that does complicate things a little bit more as well. Mom is going to find that it’s increasingly more difficult to care for the whole family during the twin pregnancy and will rely more and more upon Dad to pick up that burden. I view the twin pregnancy as a preview of what’s going to happen once the twins are born. Dad, if you can get used to helping more around the house, with Mom, with the kids, and with the chores, it’s only going to prepare you and get you into good habits for when the twins actually arrive. You’ll need all hands on deck because there’s going to be full-time needs with the twins. They need to be taken care of, as well as the rest of your family and the house. You’re going to have to be able to juggle those effectively. Take advantage of the twin pregnancy to get into the spirit of helping and doing more than you have done in the past. Plus, people will start asking you awkward questions about your twins and this will definitely continue for several years after they are born. Get used to that now! My wife discovered that traditional maternity clothing only lastest so long. In the final month or two of the twin pregnancy, clothing failed to fit properly or cover up the ever-expanding bump. Your partner may also find that a belly support strap like this can relieve her back pain. Another big difference between twin pregnancy and single pregnancies are how limited you are on travel. Because twins tend to arrive so early, your doctor may not let Mom travel once she reaches 25 weeks. The last thing you want to happen is for Mom to go into premature labor when you’re on a plane or far from home. Consult with your doctor before making any travel plans during your twin pregnancy. One thing that is a mental burden during a twin pregnancy, which also weighs on expectant twin parents, is the financial aspects of twins. When you find out that you’re expecting a baby, dollar signs start to float through your head, Dad. Once you find out there are twins in the forecast, a lot more dollar signs start to flow through your head. I found that when we learned we were expecting twins, I was thinking about the costs associated with twins. It kind of blew my mind even more so then when we found out we were expecting each of our singleton pregnancies previously. There’s something about knowing that there’s two, that makes you freak out financially. In addition to all the health concerns and the extra work during the twin pregnancy, you’ve got that mental burden and mental stress of preparing financially for them. You don’t have to worry about the longer-term financial needs of your twins during the twin pregnancy. Saving for college can come later. Saving for marriage, for weddings, can come later. Right now, you need to focus on the immediate needs that your twins will have as soon as they arrive. They need a place to sleep, car seats to get them home, diapers, and clothing. Yes, a twin pregnancy is significantly different from a singleton pregnancy, in some good ways and in some very challenging ways. So when your friends who have never had twins ask you how things are going, you know it’s OK to be truthful with them. Just don’t expect them to truly understand what you’re talking about because being pregnant with twins vs one is a world of difference. I talk more about making it through the twin pregnancy in Chapter Two of my book, the Dad’s Guide to Twins: How to Survive the Twin Pregnancy and Prepare for Your Twins. This question was originally addressed on the Dad’s Guide to Twins Podcast episode 34: Twin Pregnancy vs. Singleton Pregnancy. Why jump right to the end and not even comment on the fact that double the hormones causes double the morning sickness? Antiemetics aren’t always strong enough and you may even be unable to work or end up in hospital due to dehydration, which surprisingly can even cause Braxton hicks contractions as early as the first trimester. The morning sickness is usually not only worse but goes on for longer. Luckily this doesn’t happen to everyone pregnant with twins. @Rhiannon – thanks for sharing those points. I know my wife’s twin pregnancy was the most difficult of all for her. Thanks a lot for your article. It cheered me up. My wife is pregnant with twins in the 35th week and we are, even before the babies are here, exhausted! She had to spend 5 weeks on bedrest in hospital and was allowed home for the last few weeks. Her belly is enormous and she has to put up with terrible back-pain. This means that I have to run the whole household besides my fulltime job. Cooking, cleaning, gardening, etc. We both can’t wait for the babies to arrive – it is truly a difficult time! @Dominik – I hope that the babies arrive soon and safely! The information you have given Joe,is very inspirational and encouraging,mine is expecting twins and they are now 28 weeks.However,its not easy all the same i will try to assist her in everything possible.